The history of the county of Devon goes back to at least the Stone Age. At the end of the last ice age, Devon was one of the first places to be settled as the ice retreated. An adventurous traveller can see some of the earliest occupied sites at Kents Cavern near Torbay, an Ancient Monument. Up on Dartmoor, the history stretches back at least 8,000 years. It was not a moorland before modern humans arrived: it was oak forest. We burned and cleared the land, which then regenerated as moorland. When farming technology arrived, the Neolithic peoples farmed and settled the land, leaving some of the most distinctive ancient relics in the UK behind: huge granite stone circles, menhirs, burial mounds and settlements. The oldest buildings in the UK are found here. 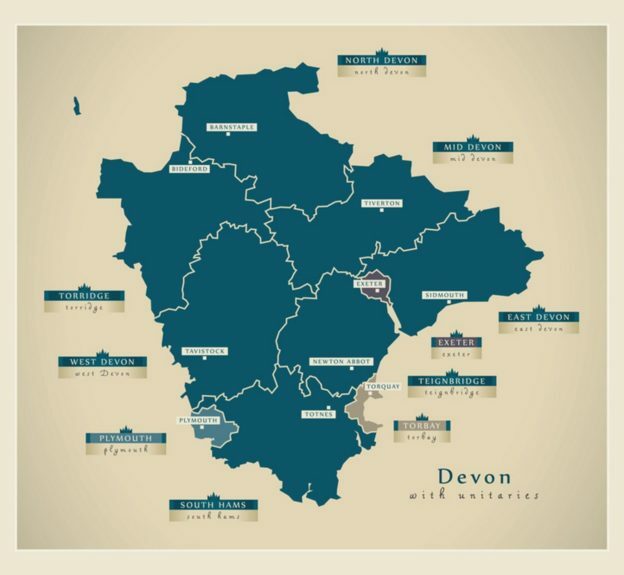 Tin, copper, and lead mining was a major part of Devon’s ancient economy, with Devonshire tin being used in bronze across Europe during the Bronze and Iron ages. Ancient pre-Roman mines can still be explored. The Romans arrived in Britain in AD 43 and stayed for around 400 years. 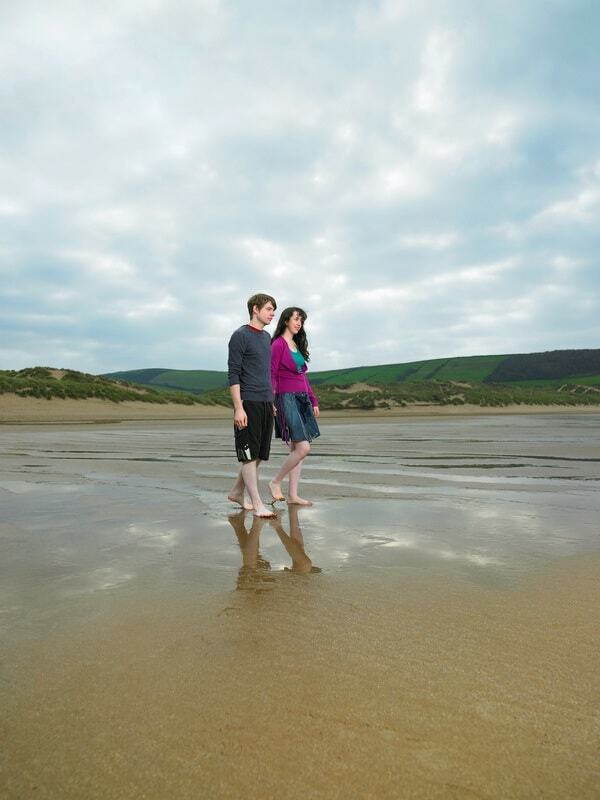 However, in all that time they made a surprisingly small impact on Devon. Exeter is a Roman town and has some fine Roman walls you can still see. Some towns like Nemeton are named after Roman deities, but on the whole, the Dumnonii, as the locals were called by the Romans, resisted Romanisation. Dumnonii is the ultimate root of the name Devon. It is thought to refer to a Celtic tribe who lived in Cornwall and Devon at the time of the Roman invasion. The name possibly means “deep valley dwellers”, or “worshippers of the god Dumnonos”, but nobody knows for sure. As with Cornwall, the name for a local tribe came to mean the area they were found in. As they died out or changed, the name stuck and eventually evolved into Devon. The kingdom of Dumnonia was a client of the Roman Empire, so it retained a lot of its autonomy in exchange for peace and trade. When everything fell apart in Rome, the Dumnonii expanded but retained a lot of the useful Roman aspects they had absorbed, like the structure of their church. Although the Romans had left, their religion survived. Christianity spread across the island and by the 6th century, Dumnonia was Christian. Monasteries and cathedrals were built in the coming years. The Anglo-Saxons came from what is now Germany and Holland, spreading from the East coast of England to eventually conquer most of the island. By the mid 9th century, they had conquered the Cornish and Devonshire folk and subjugated them. 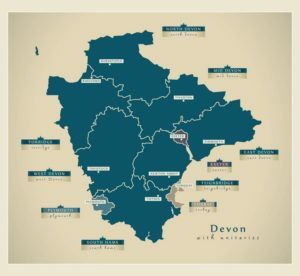 Devon would never again be independent of rule from England. Once the last king of Cornwall was killed, the slow decline of the Western Peninsula as a culture independent from the English began. The peoples of Devonshire were known at this time as Cornish or West Welsh, which shows their Celtic heritage and their close association with the Welsh peoples to the north across the Bristol Channel. Exeter played an important role in resisting the Viking invasions that began in the 9th century. However, in 1001 AD, the Devonians were crushed and the Vikings made an attempt at settling the land. A few remnants of their occupation remain in place names like Lundy Island. Exeter resisted the Normans impressively enough that King William was only allowed into the city on honourable terms. He had understood the importance of Exeter and it continued to have important roles in the rebellions of the next few hundred years. The French invaded England through Devon several times, and the Yorkists and Lancastrians fought battles across the county during the Wars of the Roses. The Prayer Book Rebellion started and ended in Devon, with the rebels eventually being slaughtered at Sampford Coutenay. During the Civil War, the region escaped much of the bloody fighting that took place elsewhere. 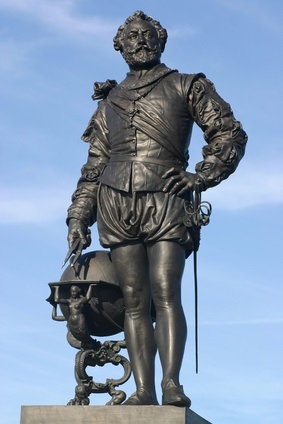 The second man ever to make a full circumnavigation of the earth came from Devon: Sir Francis Drake. He also helped defeat the Great Armada. As trade and exploration (more plundering than anything) became increasingly important to England, the port of Plymouth grew. The rest of the county remained agricultural into the 20th century, but Plymouth was an important trade hub and a centre of military operations. By the World Wars in the 20th century, Plymouth had become one of the most valued ports in the country. Accordingly, it was bombed flat. Throughout it all, mining remained a mainstay of the economy. At one point, the copper mine at Great Consols was the largest in the world. These days, the economy is mostly agricultural and tourism-based. The Devonians are proud of their history and love to talk about it, so be sure to ask them. This entry was posted in Devon History and tagged history on December 3, 2017 by admin.